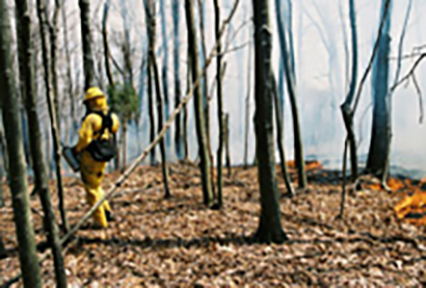 The Nature Conservancy-NC’s Southern Blue Ridge Program is currently accepting applications for our 2017-18 Western North Carolina-based Burn Crew. This year we aim to fill 20 as-needed positions. Based on two successful seasons of increasing prescribed burning capacity for our Southern Blue Ridge Fire Learning Network partners in western NC and east Tennessee, this crew model has proven to be ideal for wildland firefighters that are either retired, self-employed, college students, part-time structural firefighters, or have a flexible schedule that allows them to be available with about 24-hour notice. We have found that this position is ideal for folks that live within 45 minutes of Asheville as that is where we generally meet before traveling to burn units. Although our opportunities for work have been increasing each year, the sporadic nature of SBR burning makes this less than ideal for those seeking full-time seasonal employment, or those that would need to move to western North Carolina for this job alone. Hours range from 0-30 per week with an average of 10-15 hours per week. This year we plan to travel to burn both on TNC lands while primarily supporting our Southern Blue Ridge Fire Learning Network partners within about a 3-hour drive from Asheville, NC (Great Smoky Mountains National Park, Nantahala-Pisgah National Forests, North Carolina State Parks, Gamelands, and NC Forest Service-managed burns, Andrew Pickens National Forest, Cherokee National Forest, South Carolina DNR and State Parks, and others). Apply here by midnight October 10th — position number 45743.